You need to evaluate for yourself the pros and cons of creatine. Will it help you in your sports and activities? Creatine can help you get stronger, but it may also weigh you down. Check out the plusses and minuses of creatine below. Many studies have shown that creatine makes you stronger. In fact, trained athletes' rates of strength increase for their 1RM on the bench press, squat, and power clean were 2-3 times greater for athletes given creatine than for athletes given a placebo. That is an amazing increase in strength!!!! Extended use of creatine will help you gain more muscle mass. This mass is in the form of water, since creatine helps the muscle cells get bigger and, consequently, they hold more water. Also, creatine causes an increased rate of contractile protein synthesis (one of the things that helps you become stronger). If you're looking to put on more muscle, this is great. And this gain is all muscle; creatine does not put on fat. Bigger, stronger muscles are part of the pros and cons of creatine. So, evaluate if you really want heavier muscles. If you're doing bodybuilding, regular strength training, or martial arts where there aren't weight classes, bigger muscles will probably offer an advantage. But if you do the high jump, pole vault, or something with weight classes, creatine probably isn't a good choice for you. Weight whether you want to put on more muscle weight. Creatine works best for maximal exertion efforts, such as lifting weights and springing - all of which take less than 30 seconds to do. It doesn't work for endurance exercises. So if you're a marathon runner, creatine isn't going to help you. Creatine costs money. Not a ton - you can easily buy a big jar for about $19.95 or less - but still, it's another expense. And another thing to keep track of. If you can afford it, go ahead. It will definitely help your training. But it isn't an absolute necessity for putting on more muscle. During the 'loading' phase, the first 5 days of taking creatine where you take more than normal, some people have slight stomach upsets and pass 'gas' more than normal. So, just keep a lookout for that. There are no documented long-term issues with taking creatine. So, there are some pretty big upsides and almost no health downsides (yet known) from taking creatine. If you have competition, a big track meet, or any kind of match tomorrow, creatine won't help you. It doesn't work like that. 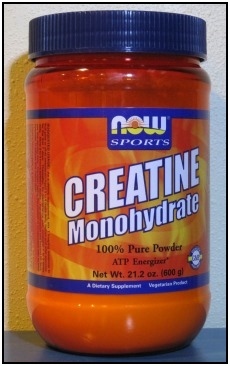 Creatine helps you put on muscle and lift stronger loads. However, this effect only comes after you've been taking it for a while (at least 5 days) and use it regularly with your training. Used with your training, it's awesome. But it's not a silver bullet that will immediately boost your ability. There you have the pros and cons of creatine. But without you starting weight training and working hard in the gym, it'll do no good. Now weigh whether it's something you want to use in your routine - or can afford not to. • Click here to leave 'Pros and Cons of Creatine: Should You Use It?' & go back to the Home-page!